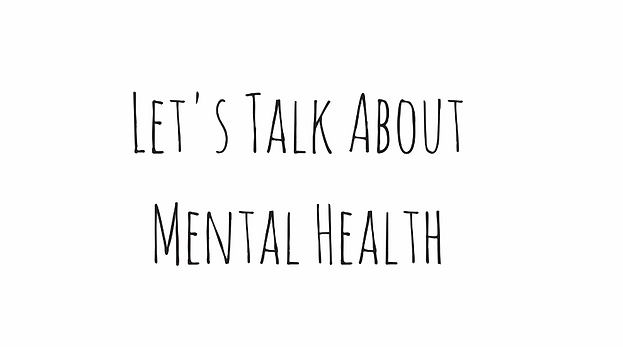 In today’s society talking about mental health problems is still very much taboo… even if it is a little more common and not as taboo and controversial as it once may have been, it is still something that i personally can feel ashamed talking about in real life. Online i am rather open about the fact that i have struggled with eating disorders, depression, panic attacks and anxiety, and still struggle with anxiety. However in real life i don’t talk about it so much… feel ashamed about my struggles. Today was a day where i should have taken a mental health day. I woke up with so much anxiety and felt very low, tired, unmotivated and wanted nothing but to continue sleeping and not do anything else. But i knew i had a lecture to go to, i had school work to do and had to plan a group assignment with the others in my group. So i managed to get myself ready and made my way to school without breaking down (Yup, so much anxiety that i wanted to cry while on the bus because i felt so awful and just didn’t want to do anything or have to be around people.) I got to school a little earlier than we had planned to meet, so i bought myself a coffee and sat and did some work on my own and began to feel a little better. Listening to music and just focusing on my work. Finally it was a pause and i just told my friends i had a serious head ache (which i infact did. I.e the anxiety gives me physical pains like stomach pain, head ache and extreme tiredness) and left….. However it is now when i am sitting at home beginning to feel better realising that 1) i should have just taken the day off everything. I should have just cancelled my plans and let myself rest today and not do anything. But also two….. why is it more acceptable to say that you have a headache and need to leave rather than say, i have so much anxiety i can’t concentrate so i need to leave. I remember when i was younger and didn’t really understand anxiety or understand that it gave me physical pain as well so i would just tell my mum i had a stomach ache or head ache, when it infact was anxiety. (This was the age of 10-13 before my eating disorder began, i can look back and realise that i did infact struggle with anxiety but never realised what it was). I am sure my mum would have let me have mental health days and days off school if i had known it was a mental health day i needed… but back then i remember somedays i would just feel so extremely awful and have so much anxiety and didn’t know what it was, so i would say i had a stomach ache so i could stay home from school. And even now, 10-12 years later it is still kind of strange to say you need a mental health day or that you need to cancel plans because of panic or anxiety attacks. Even if it is a little more accepted. When people break their bones or have physical signs of their illness they get “get better soon” wishes, but when you struggle with mental illness the symptoms aren’t always visible. People don’t realise you are struggling and either think you are lazy or just unmotivated or a slacker, when in reality you are struggling everyday and can barely get out of bed, let alone get dressed and feed yourself because of depression or anxiety. But people don’t really accept that as a reason. Of course, many do use their mental illness as an excuse to not do things i.e they don’t even tr to get better or get help and just continue to use their mental illness as a way to skip out on life and not have to do things. But then there are others who are constantly working, constantly doing things despite struggling and at some point it just catches up with them and hits them hard. You don’t have to look sick to be suffering or struggling. You don’t have to look like you are struggling to be struggling. And that is what man don’t understand…. You don’t have to look depressed to be depressed. You don’t have to be underweight to have an eating disorder. You don’t have to look like a nervous wreck to struggle with anxiety. You don’t have to look sick to be sick or to need help. I don’t really know what i want to say with this post… mostly write out my thoughts. I may not look like i struggle to the people around me. But i do still struggle with alot of anxiety and at times i can’t function normally because of my anxiety. At some times it is better and i don’t have anxiety for several weeks and other times i can’t even get out of bed or leave the house because of the anxiety and panic. I am learning what triggers my anxiety and what helps me cope. But sometimes i get it for no explainable reason and no clear trigger to the anxiety. 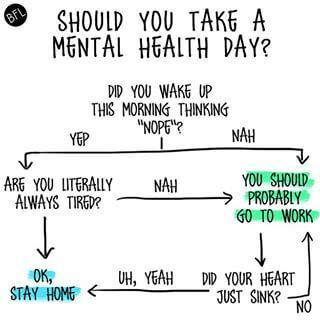 I want it to be less of a taboo subject, i want it to be more acceptable in society to say that you need a day off because of anxiety. Or that you are going through a depressive phase and just need more time out or less things to do for a while. Or to just tell those around you that, i will most likely not answer any messages or not answer any calls because i just need to be alone for a few days and it is nothing personal, i just need space. Despite being open about my struggles online, i still cancel plans or use the excuse that i have a stomach pain/feel sick/have headache instead of just saying i have too much anxiety/mental health problems…. and it bothers me that i feel the need to do this. Previous Post More eBooks in the future? We definitely need more awareness about mental health issues in our society – maybe then it will become less of a taboo. However, no one with a mental health illness needs to feel ashamed or embarrassed – it can happen to anyone in any walk in of life, and many people have to live and deal with their illness everyday. People need support and understanding, not stigmatisation. Very very true. The taboo and stigmatisation about mental health needs to be changed and peple need to be more open and less ashamed about their struggles – and this includes me. Because as i wrote, i can open up online but can barely open up about my struggles to my closest friends or family just because i feel embarrassed and judged. And thank you so much Carol. I decided to spend time with my family this weekend and hopefully that will make me feel better – to just get a chance in scenery for a few days! I hope you have a lovely week! Have a lovely weekend with your family and enjoy the break! Oh for summer days !